Welcome to iCraftCafé , a business and brand of print on demand products (POD) with the cheerful and colorful illustrations of ArianeC . On this site , you will be able to discover a wide variety of items such as teacher supplies , personalized teacher gifts , fun educational perks , trendy kids room decor , school and office supplies , jewelry and so much more . I hope you'll enjoy them and hopefully you'll find something useful for yourself . All images on this site are protected by copyright laws and cannot be used and/or reproduced without the artist permission . Thank you ! How does it work ? How is it done ? Colorful and original designs are created . They include characters , animals , patterns or whatever comes to our mind . The designs are then uploaded on all kind of products on print on demand sites where they are available to purchase worldwide . You can choose what you like , customize it to your needs and buy it in one of our online stores . They will make original gifts . Do you have any special request ? We're here to help ! Ask us through our contact form . Still wondering what iCraftCafé is all about ? What kind of products do we have available ? Here ! It is well explained in this little video . Some of our favorite gifts . Below are some examples of the gifts we are creating . They are actually some of our favorites . As you can notice , they tend to be cheerful and amusing ... at least we try to make them that way . And we certainly hope that they will bring a smile on anyone who will be lucky enough to receive them . If you wish to see more , simply click on "Products" on the menu bar . Once again , we would like to remind you that all the illustrations on this website are protected by copyrights laws . Thank you ! A little pack of sticky notes (measuring 4x3 inches) with a blue robot who is here to remind you the chores you need to do today . What an adorable pen for kids to start the new school year . It has the illustration of a bear eating a jar of honey . It has your child's name on it , so it won't get lost ! Here is a kid notebook to match the cute pen you just saw . It is filled with 80 black and white lined pages . A cute pink wrist keychain with a little cat dancing and playing the maracas . It can easily be personalized with the template . Stylish badge holder with with a pineapple pattern to hold your ID card at work . It can be customized with your name and initial . A fun t-shirt for men who love to cook spicy food . They are great to give as a present for birthdays , for Christmas , etc , or as a prize at a chili cook off competition . iCraftCafé is known for designing supplies for our beloved teachers . Please note that we also enjoy creating products for our school librarians , like this sweet library door sign . We simply love it when children are learning new skills . That is why we offer stylish watches to encourage them to learn to read the time . Be in style at your next Halloween party with those gorgeous black earrings featuring pumpkins and candy corn . Teach your child how to manage money at an early age thanks to this personalized ladybug wallet . This lovely pink chevron owl ceramic knob is perfect for the dresser of your new nursery room or for a cabinet in your classroom . Those delicious brownies would be perfect to serve at a girl's birthday or at a costume party . They come as a dozen . Start your day with this pretty and colorful mug to drink your favorite coffee or tea this fall . It shows the illustrations of a smiling and friendly scarecrow . His happiness is contagious . Decorate your nursery room with this imaginary mushroom home wall clock . This design is also available as a framed print if you prefer . 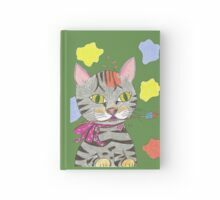 Fun green hardcover journal featuring a silly tabby cat with a paintbrush in her mouth . Oh boy ! Look at the mess ! Did I mention she is our kitty ? Choose the paper you want : graph , ruled , or blank . Ideal for writing or drawing . You will definitively get noticed with this beautiful scarf . 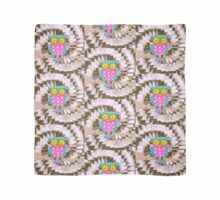 It has a bright owl with colorful eyes as well as a light pink and brown swirl pattern . Wear it with jeans for a casual look or with dressy clothes to go to work . About the Product : Although some of the pads arrived damaged, and it took 3 days for someone to respond to my email inquiry, zazzle was able to reproduce and turn it around in time for me to deliver my gifts. About the Print : Printing was good, however the back cardboard did not stick together well. Overall the pads were a hit! About the Product : The note pad is so adorable! I purchased for my friend who is a teacher and she just loved it! About the Print : Excellent job on the printing! Easy to read and colors were great! About the Product : I loved it so much it was so amazing . About the Print : Loved it so much it was amazing . If you like what you see on this website , we would like to invite you to visit one of our online stores . We try to create new designs and add them to some products as often as possible , to give customers a greater choice of gifts . You can buy them from your favorite online shop .If you have any particular request , please do not hesitate to contact us . We don't bite !